Ensure your team is utilizing their technology workstations efficiently with our In-Service Program. - Altus will send a member of our team to your location to train not only IT but the clinicians as well! 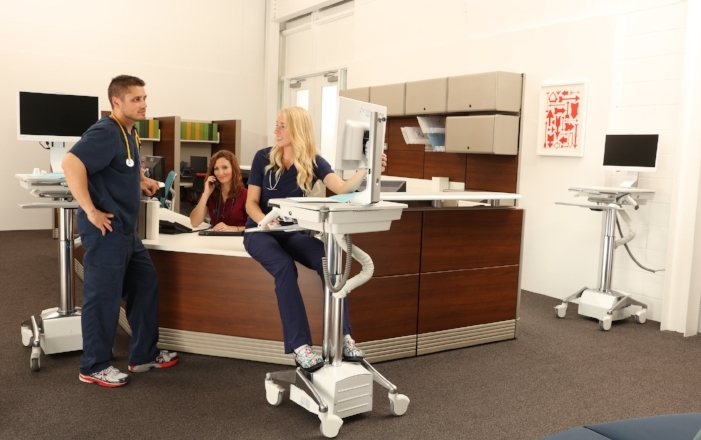 We are here to remove obstacles and make the technology a part of the conversation when providing care to patients. - Often times with upgraded technology comes added frustrations and struggles simply because something is unfamiliar. We offer this service to our customers to provide guidance and quickly bring the team up to speed on the best ways to improve your workflow. How do I get an In-Service? Already have Altus products? Then give us a call and we can discuss setting-up an in-service with your team. Haven't used our products yet? Get a Free Evaluation sample and let's start the process to get you up and running with one of our comprehensive solutions.